Congratulations on taking that next step in selling your home! We will walk you through the process, so please look over these helpful steps, and then drop us a note to begin. It is very important to understand how much it will cost you to sell your home. This knowledge is absolutely necessary because it helps you determine a good price for the house, as well as the potential profit that you can realize. The cost of selling your home will include marketing and staging your home, making important upgrades, your agent’s commission, taxes, advertising costs, and required reports, such as property inspections. The most important factor when putting your home on the market to sell is setting the right price. Your property’s for sale price will make or break the deal. 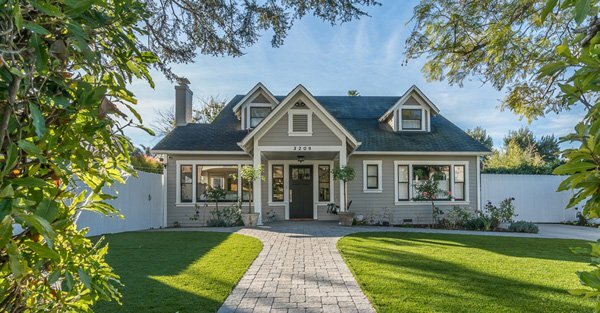 Seasoned Santa Barbara real estate agents are experts at setting the perfect price for your home — a price that will both attract ample buyers and protect your investment. Is your property priced in relation to other offers in your neighborhood? What type of neighborhood is your property located in — well-established, up-and-coming, transitional? Does your property offer easy commuter access to either downtown or the Silicon Valley commuter corridor? Santa Barbarans love sun! Is your neighborhood sunny? We will work with you to discover and communicate what makes your home’s location stand out from the crowd. Ensure gutters and other exterior fixtures are firmly attached. Your agent will provide you with a list of improvements and challenges within your home and help you hire a stager that will make your home look spectacular. A prospective buyer will want to know what work has and has not been done to your home, and will want to check for water or structural damage, evidence of faulty wiring, noise transfer, and so on before considering a purchase. As a responsible seller, make sure your home is in great condition before listing, and have any documentation of repairs or renovations, copies of permits, and so on available for perusal. Accessibility plays a role in the price of your property. Your agent will work with you to highlight the places of interest that are most accessible to your home. Need a little help? Use this helpful guide to get you on the right path in preparing to sell your home!